Gili Lankanfushi Maldives – Time stops and all your worries disappear once you step in this resort. 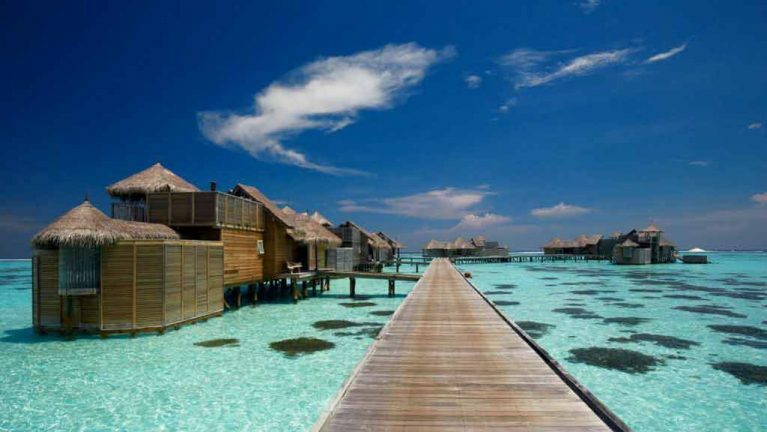 Pleasing atmosphere, helpful staffs and alluring view of Maldives make Gili Lankanfushi the best option. It’s a journey like never before at this resort, No news, No worries. 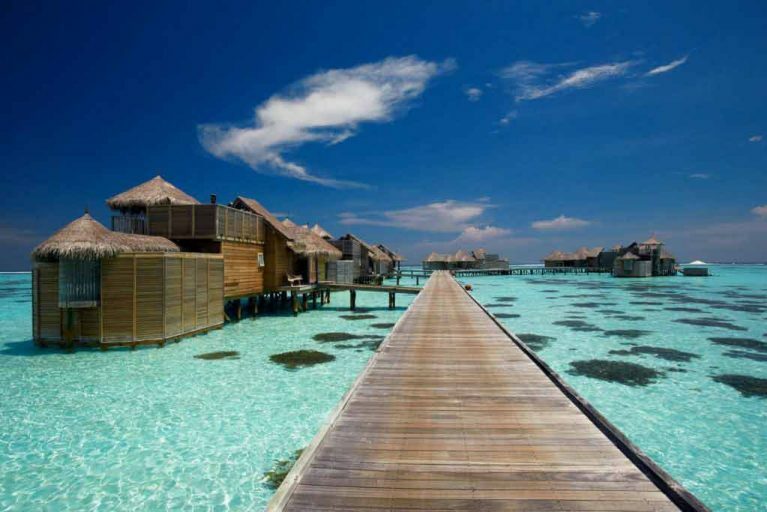 You leave all your tensions and let the enchanting view of the tropical haven, Maldives take you in a magical journey. 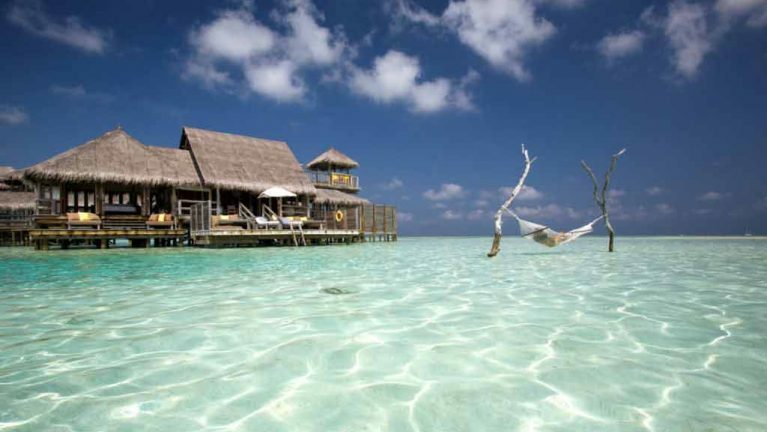 Set in Lankasfushi Island, 12 km north from Male, just 20 minute speedboat ride from Male international airport is this over water resort. 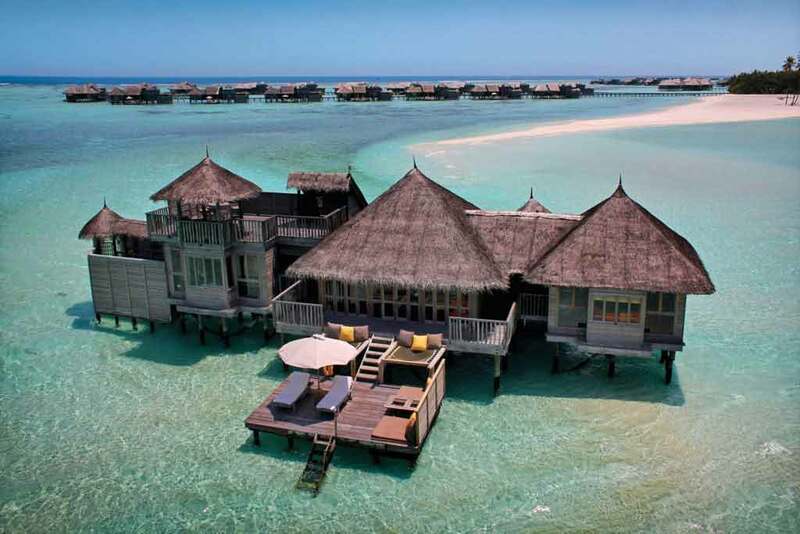 Stay in over water villas inspired by Maldivian architecture and offering an array of modern facilities. Relish mouthwatering delights at 5 dining avenues or indulge in serene treatment at spa or indulge in water activities. On your arrival to Velena International Airport - Resort representatives will be stand by to welcome you & assist you with transfers. All rates quoted are inclusive of Service charge, GST & All Taxes + both ways airport transfers. Listening to soothing sound of waves, as you take relaxing therapeutic treatments. Pamper yourself with the aromas, sounds and massages as time slips away in Meera spa. De-stress, detoxify, cleanse, scrub your body, mind and soul. Indulge in signature massages: ocean therapy, massage therapy, facial therapy, bamboo massage, music therapy and heal your body. Book before 31 March 2019 for stays in-between 09 January to 25 April 2019. 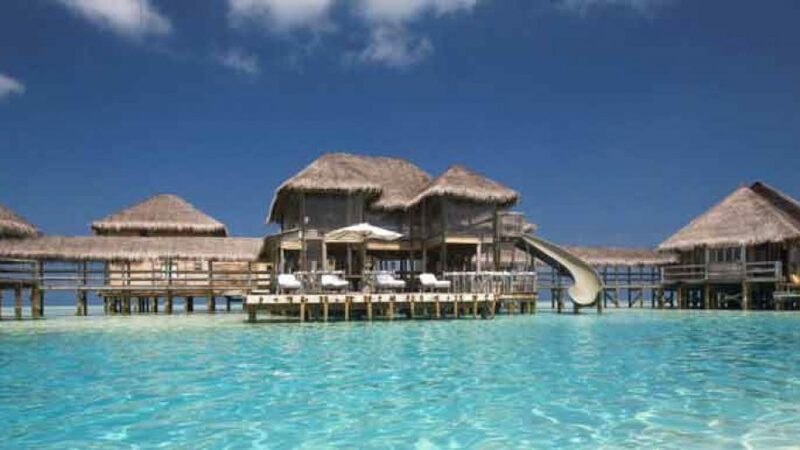 – Receive 20% Off Rates + Complimentary Half Board. Book before 31 March 2019 for stays in-between 26 April to 05 May 2019. 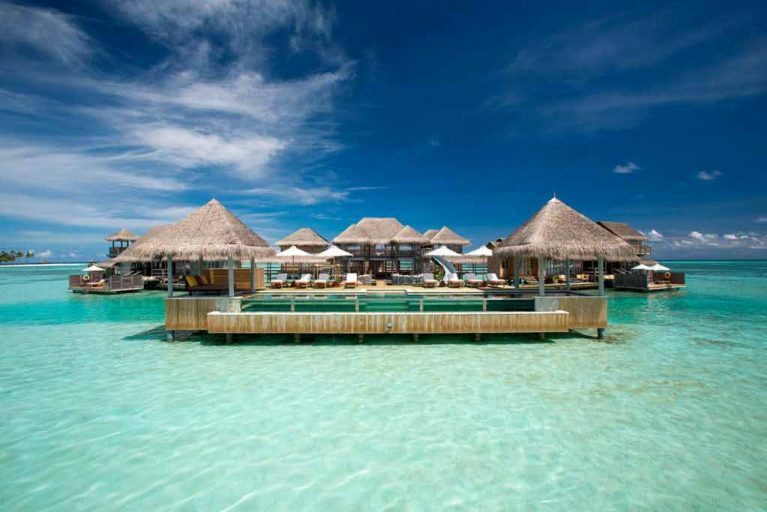 – Receive 25% Off Rates + Complimentary Half Board. Book before 31 July 2019 for stays in-between 06 May to 30 September 2019. Book before 31 July 2019 for stays in-between 01 October to 31 October 2019. Book before 30 September 2019 for stays in-between 01 November to 20 December 2019. Early bird offer is valid for all villa category. Early bird offer reduction is only applicable on villa rate. Early bird offer reduction is not applicable on extra person supplement and meal plan , however , complimentary Half Board is included. 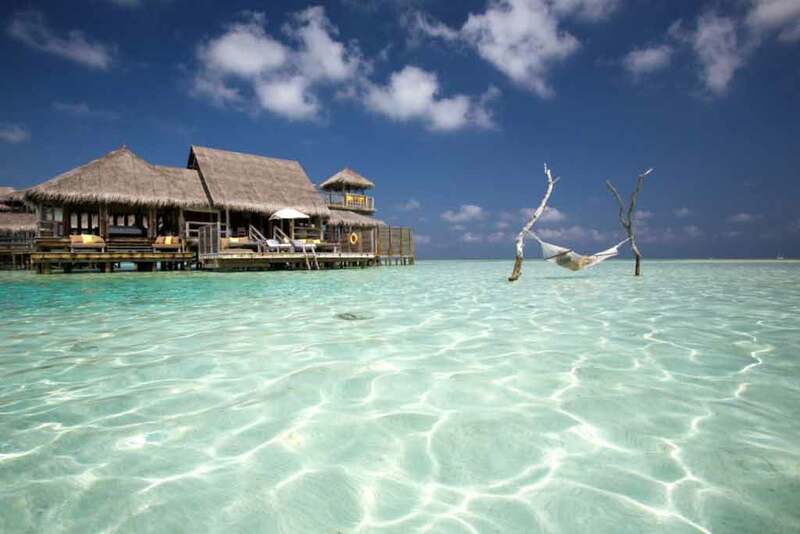 Guest with complimentary half board upgrade dinner at the kashiveli Restaurant is fully inclusive . The daily changing gili culinary journey (Table d hotel) is also inclusive . Should the guest choose any other dining options (for example in villa dining Over Water Bar, By the Sea and Destination dining), the amount of USD 100 will be credited per person. Any consumption exceeding the credit limit will be charged as a supplement. Teppanyaki in by the sea is not included and will be fully charged as per published rates. Combinable with all offers published herewith. * Booking Discounts with Free Half Board. Children below 12 Yrs. of Age Transfer and stay with Half Board meals on complimentary basis. Combinable with all contracted offers. Valid for up to 2 child under 12 Yrs. and based on 5 Nights stay. Prevailing Governmental Green Tax USD 6 per Child per day is chargeable for all nights during the stay. * Up to 2 Kids Stay, Transfers & Meals for Free! – Complimentary Honeymoon / Anniversary Departure gift. Min. stay of 4 nights is required for the offer to be valid. Offer is valid upon presentation of Wedding Certificate and is mandatory (not older than 12 months). *Minimum stay of 4 Nights is required for the offer to be valid! 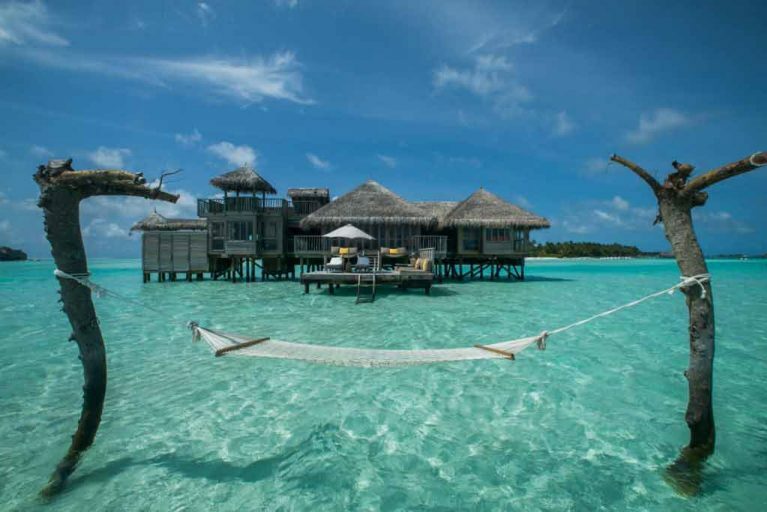 Returning Gili Lankanfushi guests receive Additional 10% reduction on room rates. Repeaters Discount Offer 2019 is valid for all Villa categories with minimum stay of 4 consecutive Nights. Only applicable on villa rate. Not applicable on extra person supplement and meal supplements. Additional benefits for Repeaters are extended depending on the number of return visit to the Resort be mentioned in the confirmation of the booking. * Accommodation for 04 Nights in 1 x Residence. * Daily Buffet Breakfast & Complimentary Dinner for 2 Adults. * Both ways Airport Transfers by Speedboat (Airport / Resort / Airport). * Includes Service Charge, GST and All Payable Taxes for Booking. * Arrival & Departure Assistance at the Velana International Airport. Package Price includes applicable special offers. Bookings must be confirmed before 30th September 2019 for Package price to be valid. * For Bookings confirmed Before 30 September 2019 Only. * Accommodation for 04 Nights in Villa Suite. Bookings must be confirmed before 31st March 2019 for Package price to be valid. * For Bookings confirmed Before 31 March 2019 Only. * Accommodation for 07 Nights in Gili Lagoon Villa. Bookings must be confirmed before 31st July 2019 for Package price to be valid. * For Bookings confirmed Before 31 July 2019 Only. 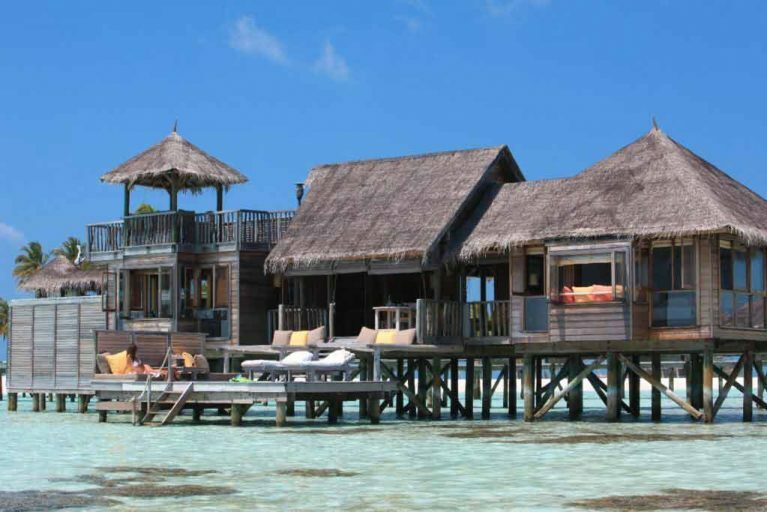 Calm down your senses in this over water suite designed to spoil you. With all the modern amenities needed in daily life, this thatched roof has a master bedroom with king size bed, spacious semi open-air bathroom with magnificent view of the ocean, open-air living area and dining area. Outside the villa it has spacious sundeck area well-furnished for lounging and dining. On the top floor we have rooftop terrace with daybed and dining facilities where one can sit, relax and enjoy the paradise beauty of the island. 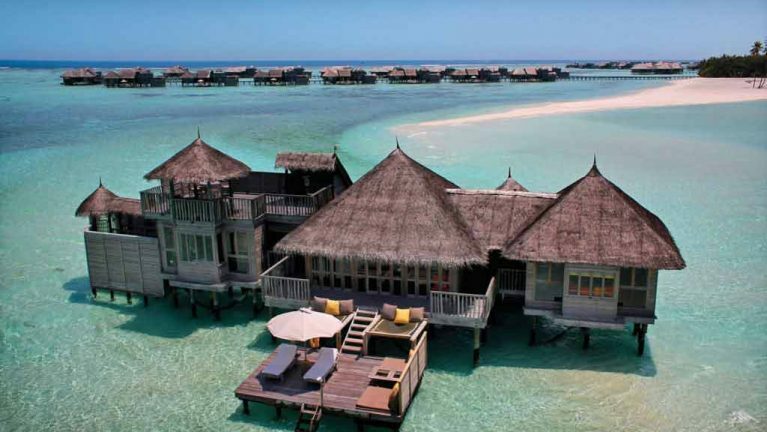 Gili Lagoon Villas offer same facilities as Villa Suites. However, these villas are located on prime location of the Island – Jetty – 3 also features Private water hammock infront of each villas. Floating over water, Gilla Lankanfushi has 8 luxurious residence. Perfect for families, this spacious villa is elegant and cozy. This 2 thatched roof villa has a master bedroom with king size bed, spacious semi open-air bathroom with magnificent view of the ocean, open-air living area and dining area. Outside the villa it has spacious sundeck area well-furnished for lounging and dining. On the top floor we have rooftop terrace with daybed and dining facilities where one can sit, relax and enjoy the panoramic beauty of the crystal clear endless ocean. Your own private boat ride to reach these private residences, Crouse residence. This exclusive hardwood furnished rustic 2 storey villa has a master bedroom with king size bed, semi open-air bathroom with bathroom amenities, bathtub and shower. It also has a dining area with kitchen, living area with sofas and satellite TV, and an over water sundeck with sun loungers. On the top floor we have rooftop terrace with daybed and dining facilities where one can sit, relax and enjoy the paradise beauty of the island. 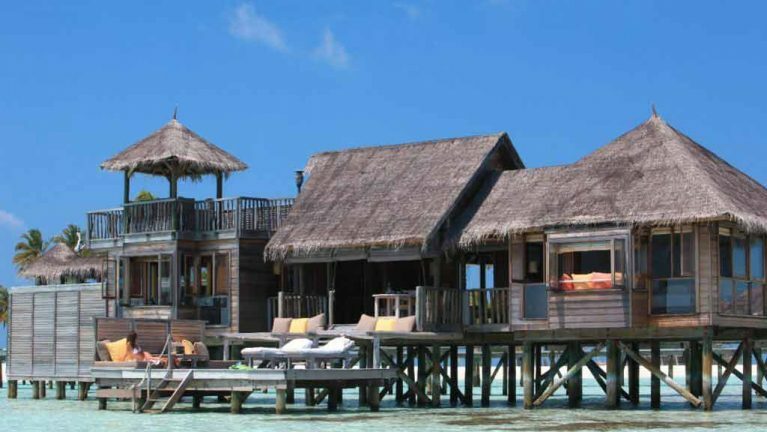 These villas are same as The Residences – however, on a prime location on the Island Jetty 3. Gili Lagoon Residences additionally features a private water hammock all other features are same as of The Residence. A sanctuary in itself, this 1700 sq.m villa is an exquisite, exclusive luxury one dreams. A slice of paradise this spacious 2 storey villa has 2 master bedroom, one guest room, spacious bathroom areas, sundeck for lounging and relaxing, spa suite . The rooftop terrace has daybed and dining facilities and a pool where one can sit, relax and enjoy the panoramic beauty of the island. At the Main Restaurant it’s about outdoor dining with your toes in the sand. By the Sea offers Indian Ocean perspectives and close eating with only five tables and daybeds, in addition to a sushi bar and bistro seating. There’s additionally another Teppanyaki table. The cuisines here are privately sourced and melds Japanese cooking with European and Asian flavors. The over water bar sits on stilts over the tidal lagoon, with all new menus and is the perfect spot for a cool glass of wine – it’s open until you choose to clear out. For hand-made chocolates, cheddar and wine, wear a downy and head down a winding staircase to the extraordinary Underground Wine Cellar with its driftwood tree trunk table centerpiece where you can dine with an excellent choices of sommelier. Natural & Eco friendly Island.